Purification in a bottle! 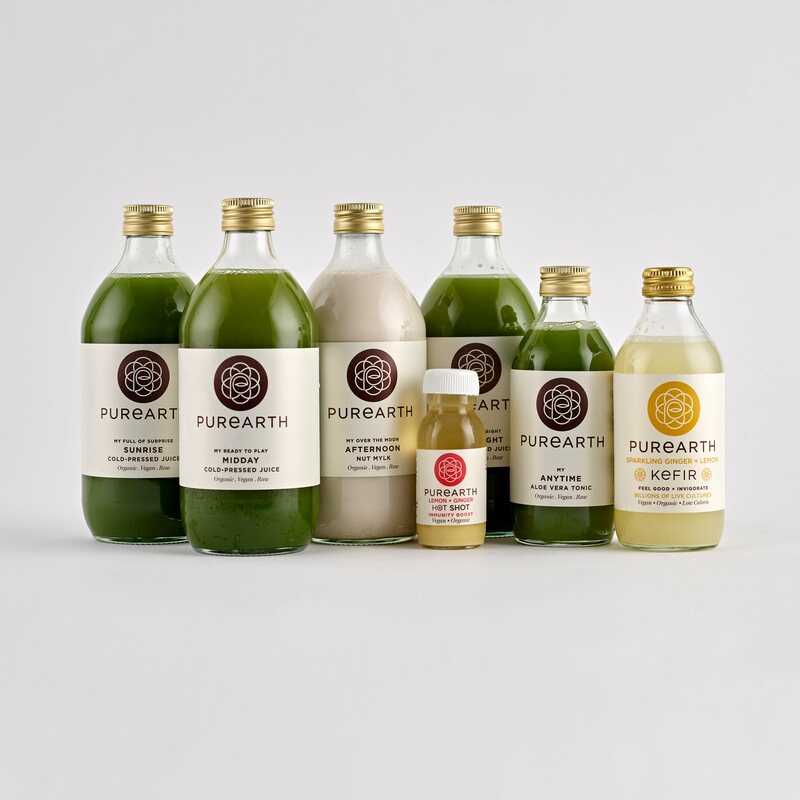 Our Alkaline Cleanse is packed full of leafy greens, designed to promote deep- level detoxification. This super-green programme aims to supercharge your batteries and bring high levels of mental and physical vitality. This cleanse is perfect if you suffer from Candida or follow the 5:2 diet, as it is very low in fruit (alkaling 2) or includes no fruit at all (alkaline 1) with a fantastic added bonus that it doesn’t exceed 500 calories per day. We are now introducing the option to swap your evening green juice with our new Souper-power vegan Broths! Our broths are rich in nutrients, light, hearty and jam-packed full of flavour and goodness. We use only the very best, certified organic ingredients available, ensuring that you get the maximum amount of vitamins and nutrients possible.For this cleanse we recommend the Thai infused Detox Broth. *PLEASE NOTE: The liver maintain shake can be added to 5 days+ and are included within our 10 + 14 day cleanse plans. This cleanse package comes with free Next Day delivery. Inside London, orders are delivered between 5pm-10pm, Monday through Sunday (Saturday excluded). Order by 8am for next day delivery. In some cases same day delivery may be available. Your delivery slot will be confirmed when your order is received. Outside London, deliveries are delivered by courier typically before 10am on Tuesdays, Wednesdays, Thursdays and Fridays.Your delivery slot will be confirmed when your order is received. Please use the "Contact the Maker" button to confirm full ingredients list. Very delicious and they taste like there's no extra sugar, also small difference between batches is a good sign imo. Really delicious - and quick delivery! 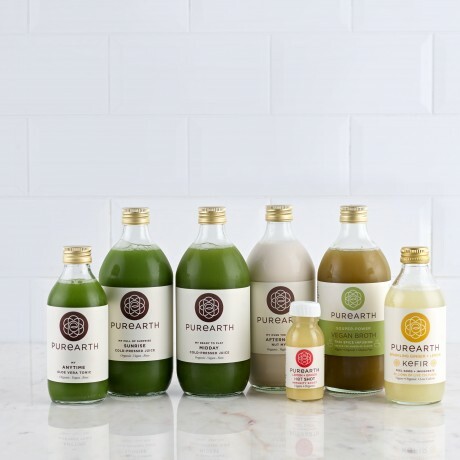 Certified organic cold pressed juices and health drinks delivered straight to your door.